Summer 2019|Fall 2019 Orientation: New Student or Transfer Student Orientation & Placement Testing information. What is Orientation? | Who Should Attend? | When is Orientation? Eastern Kentucky University has a required Orientation Program for all new freshmen. The Orientation Program enables new and transfer students to meet with staff, student representatives, and academic advisors to acquaint themselves with EKU Corbin services and to register for their first semester courses. Our goal in this Orientation Program is to help students make the transition to college by providing them with information in a friendly and non-intimidating format that encourages questions and participation. Whether they have a declared major or are still undecided about a career direction, students will be assigned an academic advisor at EKU Corbin to work with them on Orientation day to complete a schedule of their first-semester classes. Students will leave the Orientation Program with a printed schedule of their classes and information on how to access their new university email account. All students attending EKU Corbin for the first time are required to attend a new student orientation session before they register for classes. Been admitted to Eastern Kentucky University (see ADMISSIONS). 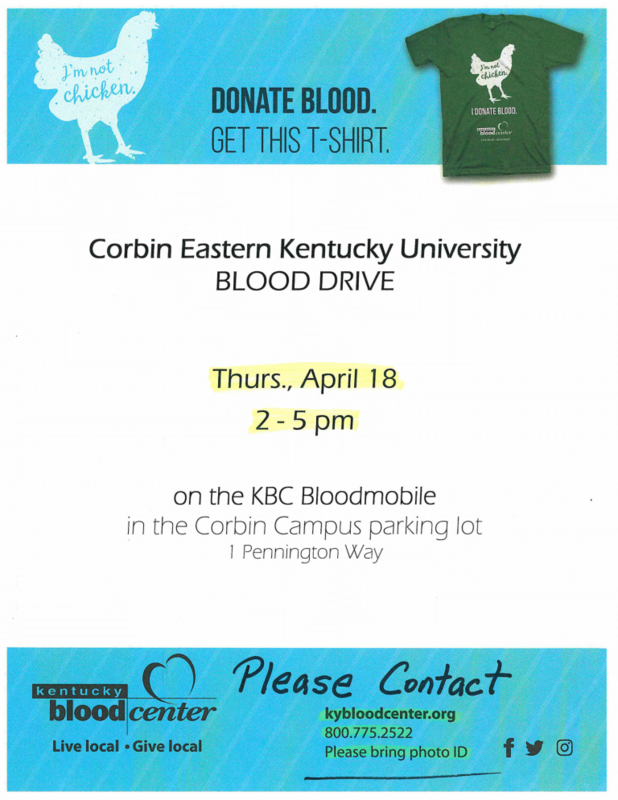 If you have questions specific to EKU-Corbin, please call 606-528-0551 . You must pre-register to attend the Orientation program. For Spring 2018, please pick a date below to register for Orientation. For students enrolling in Summer 2019 Term Courses, please contact the Corbin Campus to schedule an orientation. There will be a $10 fee per student (Price subject to change) for the Orientation Program. This fee will cover the cost of orientation materials. The fee should be pre-paid, and students should make arrangements to pay fees prior to their Orientation session. The ACT test is used at EKU for both admissions decisions and for placement in certain classes. Our academic advisors use the results of the ACT test to determine if new students need any additional Math, English, and Reading classes to prepare them for success in their college-level coursework. Therefore, students must have taken the ACT test before they can participate in the Orientation Program and schedule their classes. Students whose ACT scores are below 18 in English, below 19 in mathematics or below 20 in reading will be required to take additional placement tests (free) and/or sign up for additional classes (see PLACEMENT TESTS AT EKU CORBIN below). Before you can be advised and registered for classes, you may need to take a placement test(s). These tests are free. To view sample placement tests, go to testing.eku.edu. Transfer students who have not transferred in work from these three areas and scored below 18 in English, below 19 in mathematics or below 20 in reading may be asked to take placement exams as well. KYOTE scores are accepted by Eastern Kentucky University for placement purposes. A KYOTE placement test score will be guaranteed as an indicator of college readiness for 12 months from the date the placement exam is administered. Your high school or testing site may fax the scores to our testing office at (859) 622-8830 . Scores showing proficiency must be submitted prior to orientation date to prevent registration delays. EKU no longer processes COMPASS scores for Kentucky community colleges. All placement testing begins at 9:00 a.m. on the designated dates listed below. Placements tests are the day before each orientation. For Summer 2019-Contact the Corbin Campus if you are beginning classes and need placement testing. You can register for new student orientation by clicking on an orientation date above or by clicking HERE. For questions specific to EKU-Corbin Orientation, call 606-528-0551 .